…to outfit yourself, your kids, and your home. Shopping is a sport and a pastime, a social activity and entertainment. Dallasites don’t pull on sweats and go incognito to the mall; they get dolled up and strut their stuff. Having grown up in North Dallas, I know all too well that locals are world-class shoppers. Every time I return home, I initially have a hard time even finding my way around — retail outlets, mostly national chain stores, seem to continually reproduce like a computer virus, blanketing all four corners of every intersection in the bedroom communities that envelop Big D. The Dallas Convention and Visitors Bureau likes to tout that there are more shopping opportunities per capita in Dallas than in any other city in the United States. So if you’re a shopper, and come from a place less rich in retail mania, you’ve got your work cut out for you. If you need to focus your shopping attention, incline it toward Western duds (especially Texas-made cowboy boots) and upscale clothing and accessories (this is the home of world-famous Neiman Marcus, after all). Texans aren’t fond of taxes (there’s no state income tax, still), but there is a state sales tax, and it’s one of the highest in the country: 8.25%. Downtown Dallas largely has been eviscerated of shopping outlets as inhabitants flocked to the suburbs. Only Neiman Marcus, the mother of all Dallas purveyors of luxury goods, has stayed put. The West End MarketPlace (www.dallaswestend.org) was carved out of an old candy and cracker warehouse to draw hungry tourists and get things going downtown. The real high-volume shopping is done north of downtown, in Uptown as well as Highland Park, North Dallas (north of LBJ Fwy. ), and suburbs such as Plano and Frisco. The best spot in Plano is the chic Shops at Legacy (Legacy at the Toll Road). In the area that real estate agents have designated Uptown, a vintage trolley line travels along McKinney Avenue, allowing shoppers to jump off to duck into its many antiques shops, art galleries, furniture stores, restaurants, and specialty shops. West Village is an outdoor, European-style mall full of chic shops, restaurants, bars, and a movie theater at the north end of McKinney Avenue. The streets Knox and Henderson, bisected by Central Expressway, are lined with home-furnishing stores and antiques dealers, with an eclectic decoration shop or two mixed in. Routh and Fairmount streets have a large number of art galleries and antiques shops. Greenville Avenue is home to a dizzying array of funky shops, including antiques dealers and vintage clothing stores. The avenue gets a little funkier the farther south you travel, with Lower Greenville in particular home to plenty of bars and restaurants that make great pit stops. Deep Ellum, which rules the alternative night, is loaded by day with offbeat furnishings stores, art galleries, folk-art shops, and vintage resale shops. Of course, locals head straight for the malls, and if you’re in Dallas doing some big-volume shopping, you might do the same; the best are listed below. Neiman Marcus (which my father-in-law never tires of calling “Needless Mark-ups”), established in 1907, is a local institution; its annual holiday catalog has become part of pop culture (a once-a-year opportunity to order “His & Her Mummies” or perhaps your own personal $20-million submarine). Beyond those attention-grabbing stunts, Neiman Marcus remains one of the classiest high-end retail stores around, and its downtown flagship store has a chic retro look that is suddenly very hip today. It’s not to be missed, even if you can’t fritter away your rent money on a pair of Manolo Blahniks. 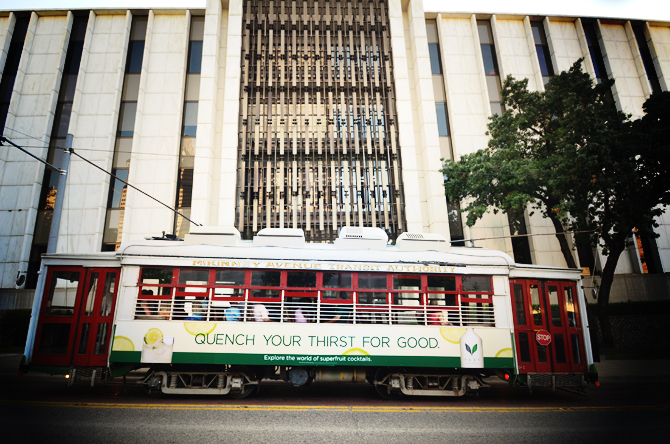 The downtown store, a beauty of retro 1960s style at 1618 Main at Ervay Street (tel. 214/741-6911; www.neimanmarcus.com), is open Monday through Saturday from 10am to 5:30pm; stores in the NorthPark and Prestonwood malls are open on Sunday. Another department store where customers are dripping in diamonds and their drivers wait outside to gather the bags is Stanley Korshak, in the Crescent Court hotel (suite 500) on McKinney Avenue between Maple and Pearl (tel. 214/871-3600). Forty Five Ten, 4510 McKinney Ave. (tel. 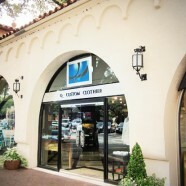 214/559-4510), is a rarefied, upscale, chic Uptown emporium with one-of-a-kind fashion, jewelry, and home decor items. Though it’s plenty glitzy, for Dallas the 8,000-square-foot shop almost qualifies as understated; it’s a terrific place if you’re looking for something unique. Dallas is an especially good place to pick up Western wear — boots, hats, shirts, and belts — whether you want to look the part of a real cowboy or prefer the more adorned “drugstore cowboy” look. Boots of all leathers and exotic skins, both machine- and handmade, from Texas boot companies (Justin, Tony Lama, Nocona) are good deals in Dallas. You can even order custom-made boots if you’ve got a grand or so to burn. Compare pricing at any of the following, all of which have excellent selections, and be sure to ask about proper boot fit: Boot Town, 5909 Belt Line Rd. at Preston (tel. 972/385-3052; www.boottown.com), or 2821 LBJ Fwy. at Josey Lane (tel. 972/243-1151); Wild Bill’s, West End MarketPlace, 3rd floor (tel. 214/954-1050); Cavender’s Boot City, 5539 LBJ Fwy. (tel. 972/239-1375); and Western Warehouse, 2475 Stemmons Fwy. (tel. 214/634-2668), or 10838 N. Central Expwy. at Meadows (tel. 214/891-0888). 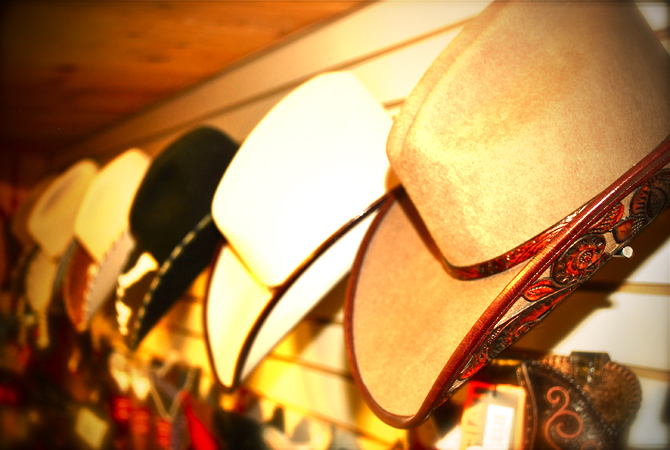 Very fancy Western wear can be found at Cowboy Cool, in the West Village at 3699 McKinney Ave. (tel. 214/521-4500); it’s the place to go if you want to drop $500 on a Western shirt or a grand on a pair of boots. Vintage Western clothing can be a bit hard to come by. Ahab Bowen, 2614 Boll St. (tel. 214/720-1874), occasionally stocks vintage Western shirts, along with one of Dallas’s best selection of other carefully chosen items for both men and women. Another cool vintage shop is Artfunkles Vintage Boutique, in the West Village at 3699 McKinney Ave., Ste. C311 (tel. 214/526-5195). Ragwear, 200 Greenville (tel. 214/827-4163), is a laid-back vintage store that stocks collectible Western shirts at $100 and up, as well as more pedestrian models. (If you’re headed to Fort Worth, there are several excellent Western wear stores clustered around the Stockyards.) Fancy gift items for the upscale cowboy — sterling silver money clips, Michel Jordi wristwatches and belt buckles with longhorns and state-of-Texas and cowboy insignias, and the like — can be had for a price at Bohlin, 5440 Harvest Hill, Ste. 172 (tel. 972/960-0335; www.bohlinmade.com). Dallas Farmers’ Market, 1010 S. Pearl Expwy. (tel. 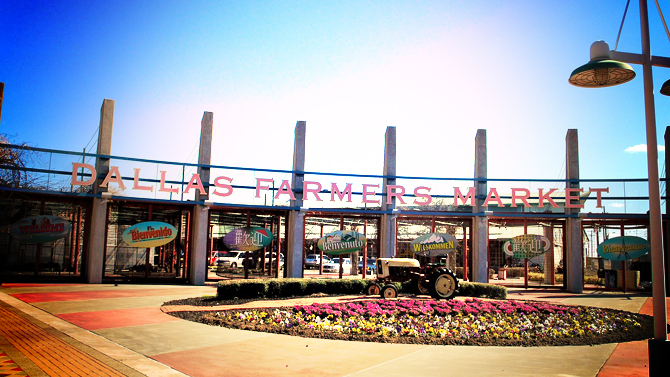 214/939-2808), spread over 12 acres just south of downtown Dallas, is one of the nation’s largest open-air produce markets. First opened in 1941, it looks across at the glittering Dallas skyline. Farmers from around the area sell directly to the consumer. The market is open daily from 7am to 6pm. It would be impossible to cover Dallas’s dozens of major shopping malls here — and more difficult still to hit them all on your visit to Dallas. Following are a few of the best, both for the number and quality of stores and for their general ambience. NorthPark Center, Northwest Highway/Loop 12 at I-75 (tel. 214/363-7441), is the most traditional mall and, to my mind, the most elegant. 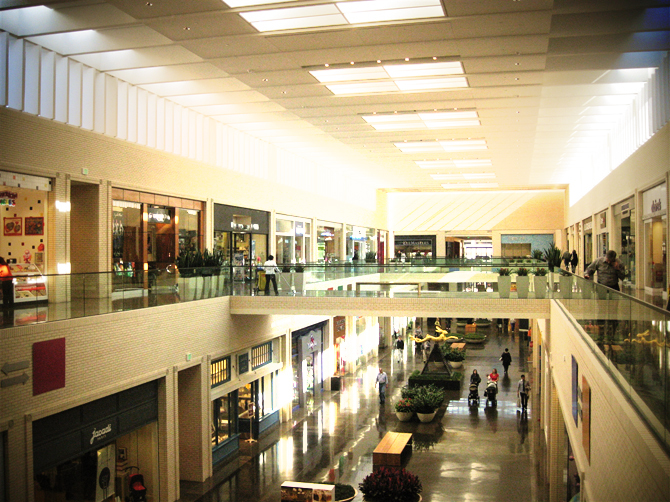 NorthPark has 160 shops and major anchor stores (including Neiman Marcus, Tiffany’s, and Nordstrom), as well as natural lighting and, best of all, a rotating display of owner Ray Nasher’s fabulous sculpture collection of modern masters throughout the mall (the majority of his collection can be seen at Nasher Sculpture Center). NorthPark recently underwent a makeover that doubled its size, making it the largest mall in the Metroplex, but respected the good taste of the original 1960s structure. Not a mall, but not far from NorthPark, is one of my favorite shopping stops in Dallas: the sprawling flagship store Half Price Books Records & Magazines at 5915 E. Northwest Hwy., just east of Central Expressway (tel. 214/363-8374). The massive selection of books — including art and architecture books, coffee-table books, books on tape, and language books — blows away almost any new bookstore, and everything is at half-price or less. Highland Park Village, Mockingbird Lane at Preston Road (tel. 214/559-2740), is as close as you’ll get to Beverly Hills’ Rodeo Drive in Dallas. 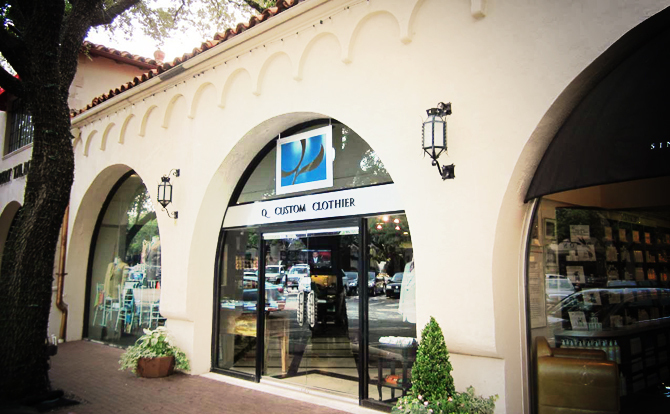 This ultrachic corner of high-end shopping in the midst of Dallas’s most exclusive neighborhood was built in the 1930s — it was reportedly the first shopping mall in the U.S. — and sports an eclectic mix of today’s most fashionable boutiques (such as Calvin Klein, Prada, Chanel, Bottega Veneta, and Hermès). Shops aren’t enclosed like at a traditional suburban American mall; rather, they face inward for a more enjoyable (or shall we say, European) shopping experience. The Galleria, LBJ Freeway and Dallas Parkway North (tel. 972/702-7100; www.dallasgalleria.com), is a huge mall with a light-filled atrium (said to mimic the original Galleria in Milan, Italy). It attracts some of Dallas’s most sophisticated shoppers to Macy’s, Nordstrom, Saks Fifth Avenue, Versace, Cartier, and Hugo Boss. You’ll also find an ice-skating rink, a Westin Hotel, and a host of restaurants — but many people seem to come just to stroll.